These types of boards lend themselves to education and can be found widely in classrooms and learning centers across the world. In addition to the ability to find use in a regular classroom there are many uses for online communication. With the capability of the teacher or presenter to move a “mouse” which can be seen by students viewing remotely, an entire course can be presented where the teacher’s voice is broadcast while the student’s computer screen shows what is actively happening on the interactive whiteboard. With the large number of capabilities and amount of technology used in these interactive whiteboards there is a larger price to pay when compared to traditional whiteboards such as melamine, glass, or painted boards. 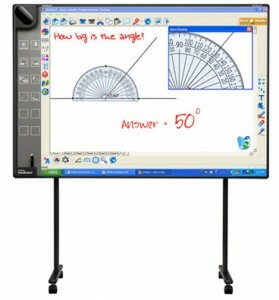 Typical prices for interactive whiteboards range in the $1000 to $3000 (U.S. dollar) range. 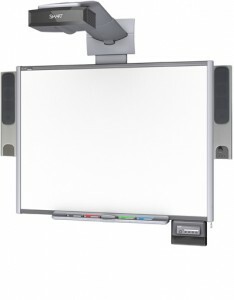 There are also occasionally addition costs when purchasing an interactive whiteboard – a computer to run the software, a projector if not included to project the display of the computer onto the whiteboard surface, and various input devices.